Prof. Dr. med. 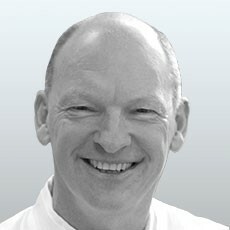 Uwe Tegtbur is the Director of the Institute for Sports and Medicine at the MHH, Medical University of Hanover. Being in this position his main priorities lie in the topics of training for prevention as well as sport as therapy for certain diseases. Prof. Tegtbur is further focusing on performance diagnostics and the regulation and control of training, on which he has published many articles and gained awards. His various appointments cover memberships at the American College of Sports Medicine, ACSM, the German society for prevention and rehabilitation as well as the German Society of Prevention and Sports Medicine DGSP. Prof. Tegtbur is currently chairing as Vice President at the Sports Association Niedersachsen e.V.